Marijuana enthusiasts who have been wondering how to break into the pot business may get a glimpse of what it takes through Wiz Khalifa’s new app, Wiz Khalifa's Weed Farm. The rapper launched the app just in time for the worldwide cannabis day, 4/20. The free mobile game allows players to operate marijuana farms where they can grow and harvest cannabis plants, after which they can reinvest proceeds to create their own brands and businesses to sell the pot. “The game strives to create an authentic experience, capturing the state of the marijuana industry by seizing opportunities in entrepreneurial fashion, reinvesting into business, and compounding returns,” Metamoki, the game developing company that partnered with Khalifia on the project, said in a statement. The game is available for download on Google Play and the Apple App Store. Weed Farm isn’t the only cannabis endeavor that the “See You Again” rapper has made. The 29-year-old, who has been very vocal in his support of marijuana legalization, has also invested in and created his own strain of marijuana, aptly named Khalifia Kush, which hit dispensaries in Colorado and California in 2016. The brand produces marijuana flower and concentrates—THC that has been extracted from a marijuana plant to create wax vaporizers, tinctures and salves—and has since become available in just about all states where marijuana is legal. 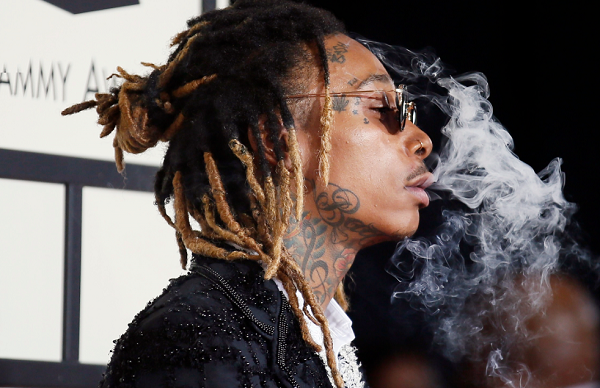 Khalifa is far from the only celebrity who’s dabbled in the marijuana industry. Check out a list of other famous people who have invested in cannabis’ growing business below. 1. Snoop Dogg: The rapper has never been shy about his use and love of marijuana, and just as the U.S. has become more and more green, so has Snoop’s business portfolio. In addition to his own brand of marijuana, Leafs by Snoop, he has a marijuana media company, Merry Jane. Both launched in 2015. He’s also invested in a Canadian marijuana company, Canopy Grown Corp., which has developed three cannabis strains under the Leaf by Snoop umbrella. 2. The Marley Family: The legendary reggae singer Bob Marley's family name is synonymous with marijuana. The late singer was a major advocate for ending marijuana prohibition in his home country of Jamaica (and the world), and often sang about the positive impacts cannabis could have as far as bringing communities and people together. His widow, Rita Marley, and children in 2016 created Marley Naturals, a line of marijuana flower, oils, salves and accessories inspired by some of Bob Marley’s favorite strains of weed. 3. Margaret Cho: Back in 2015, comedienne Margaret Cho was developing a pot-themed show for Amazon. It’s unclear why the show never made it to air, but the 48-year-old actress and artist still found a way to express herself through weed when she launched a marijuana line called Cho-G.
4. Willie Nelson: The country singer, who has worked with marijuana advocacy group National Oraglinzation for the Reform of Marijuana Laws (NORML), rolled out a menu of marijuana products in 2015 under his Wille’s Reserve label, including Willie’s Weed, which is grown in Colorado and Washington. Upon launching the brand, which made its debut with a pro-pot music video featuring Merle Haggard, Nelson told Rolling Stone that the company could continue to promote environmental and social issues related to “the gradual end of marijuana prohibition across America.” The products are sold everywhere marijuana is legal. 5. Tommy Chong: It’s not surprising that the “Cheech and Chong” star would have a hand in pot once it started becoming legal for recreational use—Chong has often professed his love of the plant on social media and in interviews, and he’s also appeared knee-deep in weed in films like Up in Smoke and Nice Dreams. After marijuana became legal in Washington and Colorado in 2014, the actor was one of the first stars to break into the business when he started his pot brand, Chong’s Choice, featuring an array of marijuana strains and accessories. He also partnered with Marisol Therapeutics to open a dispensary in Colorado that same year. 6. Melissa Etheridge: After undergoing chemotherapy treatment following her 2004 breast cancer diagnosis, the country singer became a big voice for medical marijuana advocacy, and in a 2013 CNN editorial even credited the plant with helping her survive chemo. The following year, Etheridge announced she was creating her own line of marijuana-infused wine, called Know Label, to help other people suffering from debilitating medical conditions. 7. Whoopie Goldberg: Only available in California, the actress’s Whoopie & Maya line of marijuana-based balms, tinctures, bath soaks and sipping chocolates was specifically designed for women suffering from menstrual pain. Goldberg has been open about her use of marijuana to ease cramps and pain caused by menstruation, and she has also promoted legalization efforts while appearing on the daytime talk show The View. She launched the line in 2016 with partner Maya Elizabeth, founder of Om Edibles, who has won awards for her marijuana-infused treats. 8. Kevin Smith: In 2014, filmmaker Kevin Smith released two strains of his Tusk-branded marijuana in an effort to promote his film of the same name. Smith worked with a notable Los Angeles dispensary, Buds & Roses, to develop two strains of pot, including a sativa strain called White Walrus and an indica pegged as Mr. Tusk. 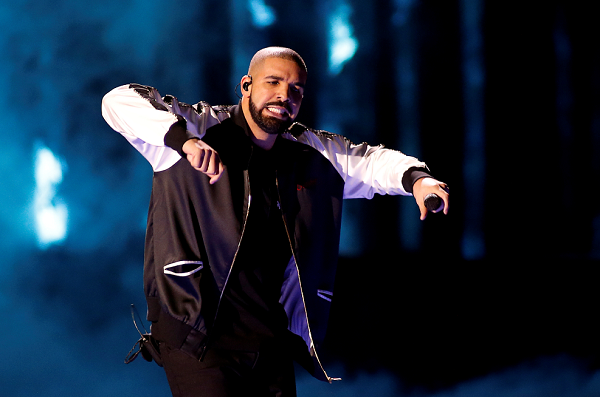 Airbnb Using Drake To Quell Discrimination Issues?